We love making wine in the city, but sometimes there are challenges inherent to being several hours away from the vineyards. People might think we’re kind of crazy, choosing to make wine in San Francisco, from some of the furthest Pinot Noir vineyards from the city. Clearly, our love for Anderson Valley and Mendocino County fruit drives us to extremes. But we love it nonetheless. This time of year, though, logistics are incredibly tricky. With long, windy roads and last-minute picks being juggled with busy work and life schedules, it takes a village to get our fruit into the winery and processed. Luckily we work with incredible vineyard owners who typically deliver their fruit to us, even though it can be a 3-hour drive from Mendocino County to San Francisco. Our appreciation for this generosity has skyrocketed after this weekend. 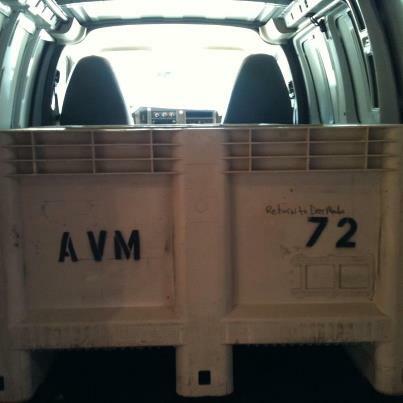 We had a few pick bins that we needed to take back to Anderson Valley and we figured it would be pretty straight-forward to rent a truck for this purpose. After extensive research, Brian found the ideal truck from U-Haul and reserved it online. We arrived at a San Francisco U-Haul location at 9am on Saturday, waited in line for 20 minutes, and then learned that the reserved truck would have to be returned by 1pm, even though Brian had reserved a 24-hour rental. Exasperated, we returned home and hit the phones in order to procure another truck. Brian was elated when he found an even cheaper rental with no mileage restrictions. After booking it, we drove 45 minutes south to Palo Alto to pick up the truck. Ironically, as we traveled along Arastradero Road in Palo Alto en route to the car rental place, we spotted vineyards that I’d never seen before. I felt like they were taunting us. As we pulled into the lot at Alamo in Palo Alto, Brian got a call on his cell phone telling him that they didn’t have trucks at that location. At this point I started getting flashbacks to a bad Ikea parking lot incident that brought out the dark side of mild-manner Brian. Sensing his frustration, the folks at Alamo suggested that Brian rent a large cargo van instead. After taking some measurements, Brian opted for the van. By 2pm he was nearly on his way, but determined that he could only fit 2 bins in the van, even though we had 4 bins total to return. Guess those other 2 bins will have to wait….Brian finally made it up to Anderson Valley before sundown. Because of his late arrival, he accepted a kind offer from a vineyard owner to spend the night. 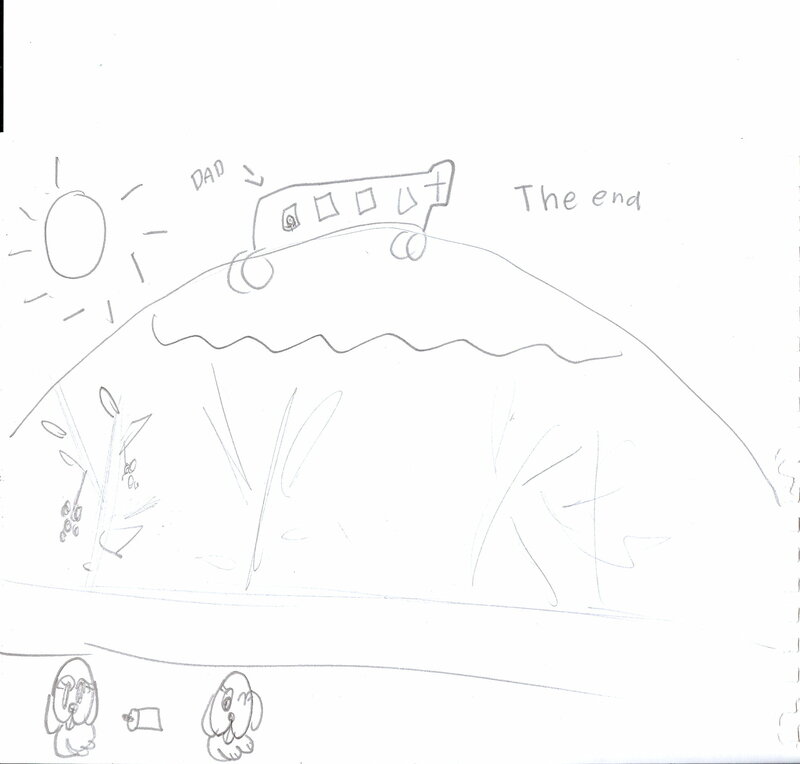 Our daughter’s depiction of that happy arrival is pictured below. Spending the night proved to be a good thing, as it meant that Brian could do vineyard checks on Sunday. Anderson Valley (and the entire Bay Area) experienced a heat spike both Sunday and today, so it was an excellent chance to see how imminent harvest would be.It looks like our next round of fruit will arrive tomorrow, with more to follow this week.